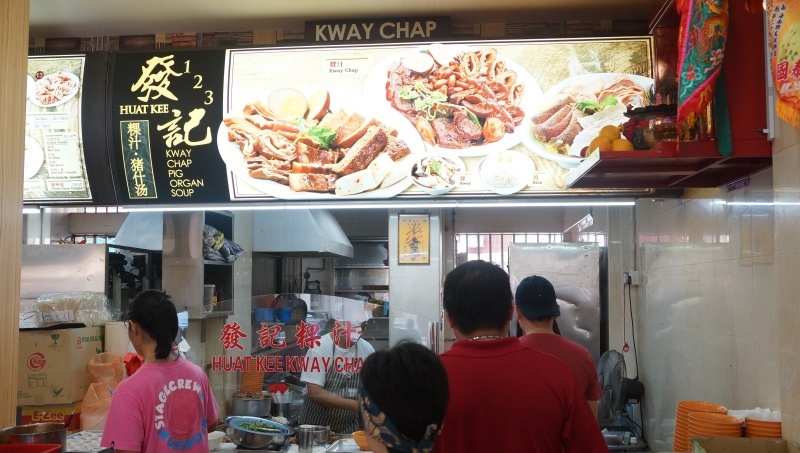 Not easy to find a Kway Chap stall that can fulfil all the requirements defined by a good kway chap standard, some may excel in one or two things but failed miserably in other items, be it the kway, gravy or braised items. We are confidently to say that Huat Kee Kway Chap is probably one of the few Kway Chap stalls that make you hard to spot the weaknesses. Huat Kee Kway Chap is hidden in a coffeeshop among the cluster of HDB flats in Yishun New Town, it is not located in the neighborhood market or some shops along the street that can be seen from the street, the stall is located in a secular coffeeshop at the ground floor of the estate, we were wondered at first if the GPS has made a mistake in providing the direction. Huat Kee Kway Chap opens fairly early in the morning, however, the whole coffeeshop already a full house when we reached there at around 9am during the weekend, a quick glance the tables and not difficult to spot most of the customers have ordered the kway chap, the popularity of the stall is fairly evident. We ordered the standard items under the advice of the stall owner to avoid extra waiting time needed if we opt for the custom order. Huat Kee Kway Chap has pig organ soup on the menu as well. The standard order comes with braised pork belly, tau kwa, tau pok, pig skin, fish cakes, hard-boiled egg and pig innards. 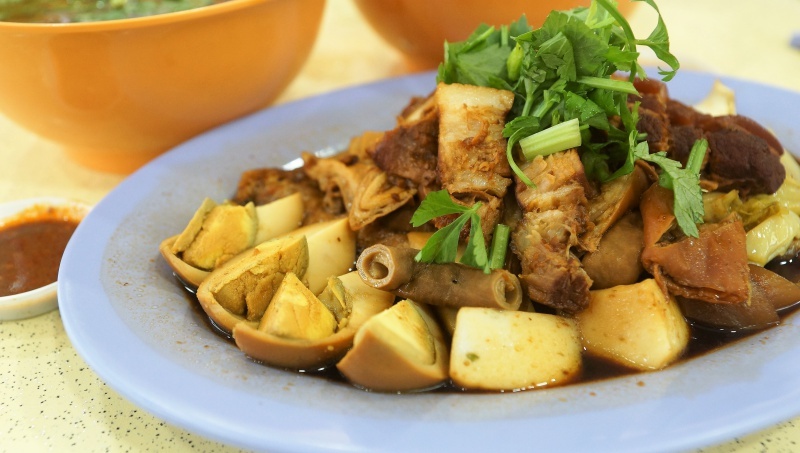 Huat Kee Kway Chap is good, everything in the plate or bowl have delivered the right flavour, texture and touch of nostalgia taste to make an ideal kway chap that we long looking for. The kway has a perfect texture served in a bowl of comforting flavour of broth, braised items are very well done, if you are worried about the proverbial question of the pork’s gamy stench coming with the poorly cleaned pig offal, you can be assured Huat Kee Kway Chap is doing a good job to eradicate your fear. Chilli sauce was reasonably good thought a little more sourness and spiciness are preferred. 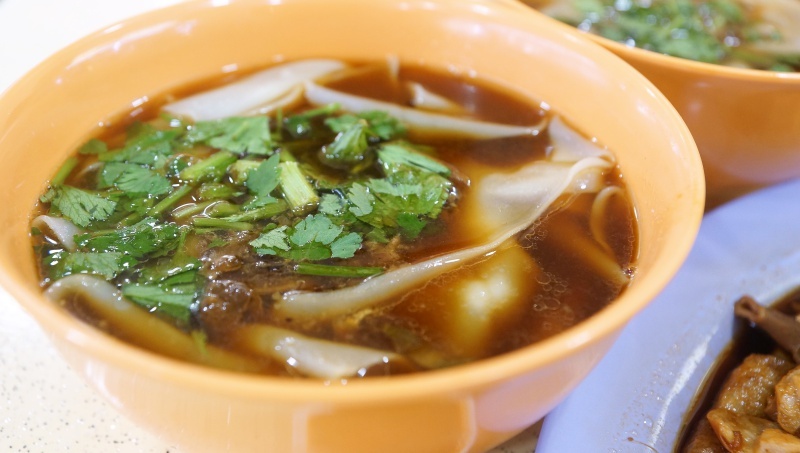 We are highly satisfied with the excellent kway chap delivered by Huat Kee Kway Chap. 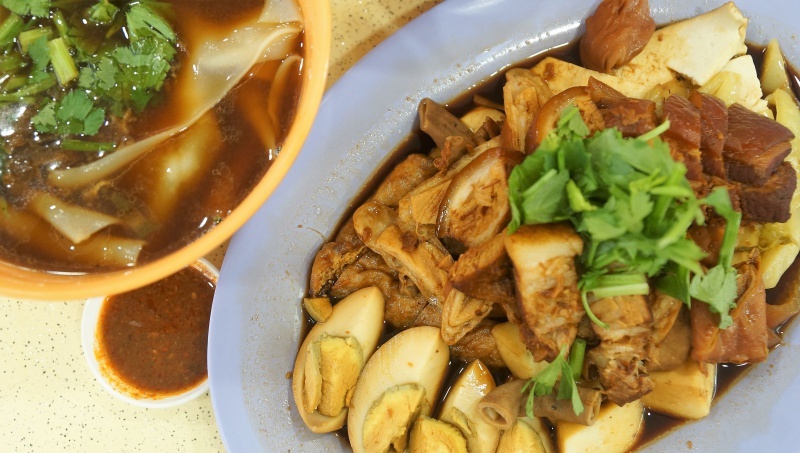 if you are seriously looking for some real good kway chap in Singapore, this is one of the stalls definitely worth the visit.